I’m joined today by Ben Novak, who sold wedivite.com for $70,000 last month. Ben is a self-taught web entrepreneur with a passion for building online businesses and discusses how he built and sold wedivite.com. Tell us about your background as a web entrepreneur. I started as a webmaster at 16 years old. Since then I never stopped coding, designing and building online businesses. Apart from my own projects, during the past 12 years I’ve worked as a copywriter, designer, developer, creative director, marketing director, angel investor consultant and VP of creative. Some of my top past clients are: Google, Deezer, reddit, Pfizer, Gett (GetTexi), Volvo, IKEA and many more. What is your education/employment/career background? I have a BA in Communication and Management, and I’m self-taught in PHP, Laravel, Angular, React, React-Native, PhoneGap, JS, HTML, CSS, Python, Swift, Server management and SQL. You sold wedivite.com for $70,000, which gives it a staggering sale price of 11.5x its annual profit! Tell us about why the business sold for such a high multiple and what the sale process was like. 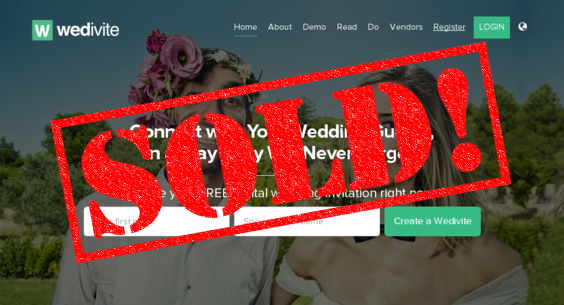 Wedivite is an entire branded business, around for 3+ years, with top-ranking google positions (1st place in mobile wedding invitations and digital wedding invitations). Apart from that, it has amazing WOM (word of mouth) and over 200K couples worldwide have already used it for their wedding. The website is profitable and I spend roughly 1-3 hour a week on it. So this is just the revenue on auto-pilot. If you start investing time in it, you can quickly turn it into a huge business. It has a great social footprint with a lot of followers (especially on Instagram) and loads of marketing materials, videos and brand assets. And the bottom line, buyer paid for 1 business but got 2 businesses (vendor directory and app), 2 mobile apps and a web app. I noticed you had a $23,000 reserve. Were you surprised it sold for $70,000? Nope, actually, I think it’s a steal price. Tell us about wedivite.com. How did it get started and how did it grow? Started as my own wedding invitation. After that, I opened it for free for everyone to create one. Then couples stated asking for more features, so I added some paid features and then it started to get big, so I stopped developing and focused on making it run on auto-pilot- as I didn’t want to leave my day job. Why did you decide to sell wedivite.com? No time to run it, and it was a shame because it’s had great hype and functionality. So I decided it should “live-on” with someone who’ll take better care of it. You worked with Cristina Javier, one of our account managers. Can you tell us the experience of working with her and the rest of our account management team? Everyone was cool. Cristina gave an initial evaluation of the product. Was this the only online business you operate? What would advice would you give to those looking to sell their websites and online businesses? Don’t try to sell a product you don’t believe in. If you created a product and couldn’t scale it, describe the steps you tried and why you think you have failed. Sometimes this info will save the buyer a lot of time and worth a lot of money. For me specifically, I had a feature request tool generated by Wedivite couples (users) and voted on with had hundreds of votes and ideas. 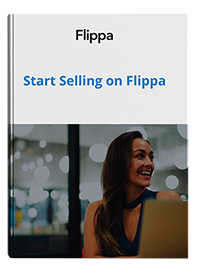 This serves a great starting point for your buyer to continue working on the product, as well as a great user base. Want to get in touch with Ben? Add him or LinkedIn or Twitter!